Beginning July 1, 2018 we will be able to accept online meal applications for the 2018-19 School Year. The USDA will not back pay for meals purchased prior to eligibility determination and therefore the parent/guardian will be responsible for paying these charges. 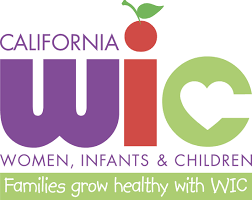 Direct Certification - If you are receiving CalWORKs OR CalFresh (previously Food Stamps), you may receive a letter indicating your student's free meal eligibility. No further action is necessary. If you are receiving CalWORKs/CalFresh but did not receive an eligibility letter from the Lemon Grove School District by August 22nd, please complete a meal application. *District Office and Schools Sites have a computer available to complete meal applications onsite. Confidential notification of meal eligibility status will be sent via email or the United States Postal Service. Please make sure your household's correct email and mailing address are on the application and given to the school office.